HomeWhat types of Credit Card Fraud are there? • The mail and the Internet are major routes for fraud against merchants who sell and ship products, as well Internet merchants who provide online services. 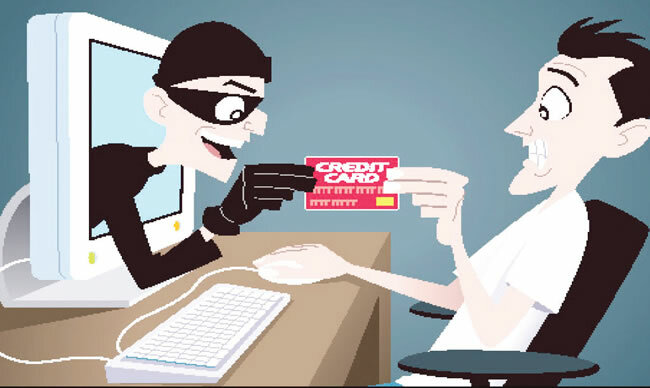 In this, fraudster presents stolen card information by indirect means, whether by mail, telephone or over the Internet to merchant site and orders the delivery of goods of lower value to avoid suspicion. • Skimming is the theft of credit card information used in an otherwise legitimate transaction. It is typically an "inside job" by a dishonest employee of a legitimate merchant, and can be as simple as photocopying of receipts. Common scenarios for skimming are restaurants or bars where the skimmer has possession of the victim's credit card out of their immediate view. The skimmer will typically use a small keypad to unobtrusively transcribe the 3 or 4 digit Card Security Code which is not present on the magnetic strip. • Carding is a term used for a process to verify the validity of stolen card data. The thief presents the card information on a website that has real-time transaction processing. If the card is processed successfully, the thief knows that the card is still good. The specific item purchased is immaterial, and the thief does not need to purchase an actual product; a Web site subscription or charitable donation would be sufficient. The purchase is usually for a small monetary amount, both to avoid using the card's credit limit, and also to avoid attracting the bank's attention. • There is a critical 3-digit number on the back of the card called CVV (card verification value). Always erase and memorise it. • A card's magnetic strip has the basic details of the cardholder. But the card also comes with a blank space for you to sign in. You must sign on the card to avoid unauthorized use. • Always check your monthly bank statements for any suspicious transactions. • Shred the financial documents with care. • Do not store your personal and credit card information on the computer. • Do not write the PIN number down. • During the online transactions, check if the web address starts with HTTPS, which ensures the encryption of all important data. • Never delay to report a lost credit card as the consequences can be highly disastrous. Close the account that you suspect is being hit by the fraud. • Thoroughly check the authenticity of the firm, the website, or any other transactional society where your money would be flowing through. Take a pause before venturing into any kind of online transaction and decide upon the authenticity of the transaction..